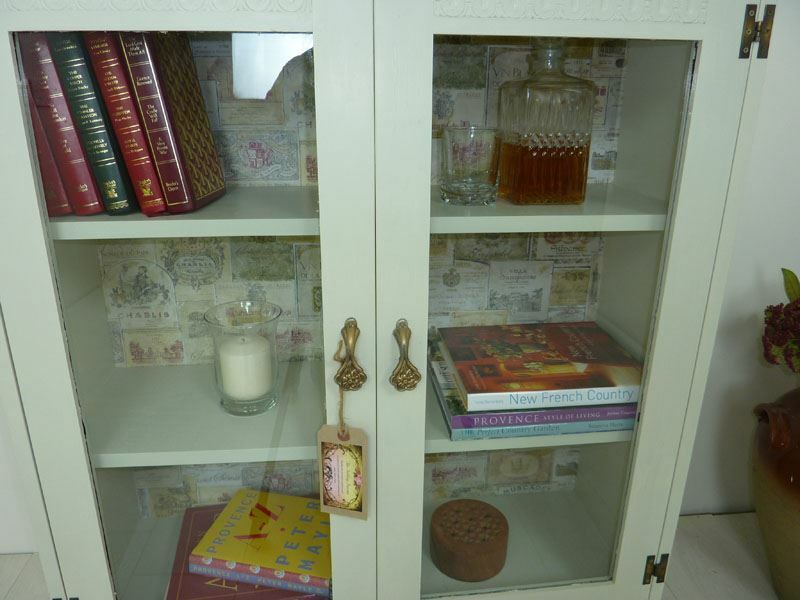 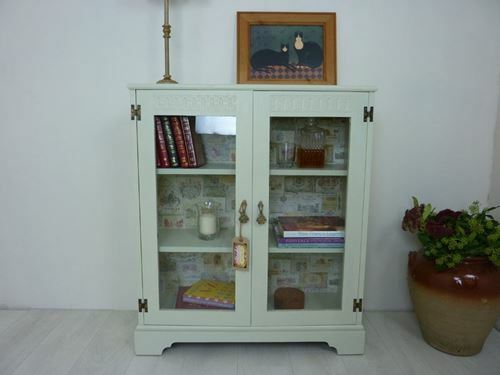 A hand painted display cabinet / bookcase with two full height glazed doors and embossed motif above. 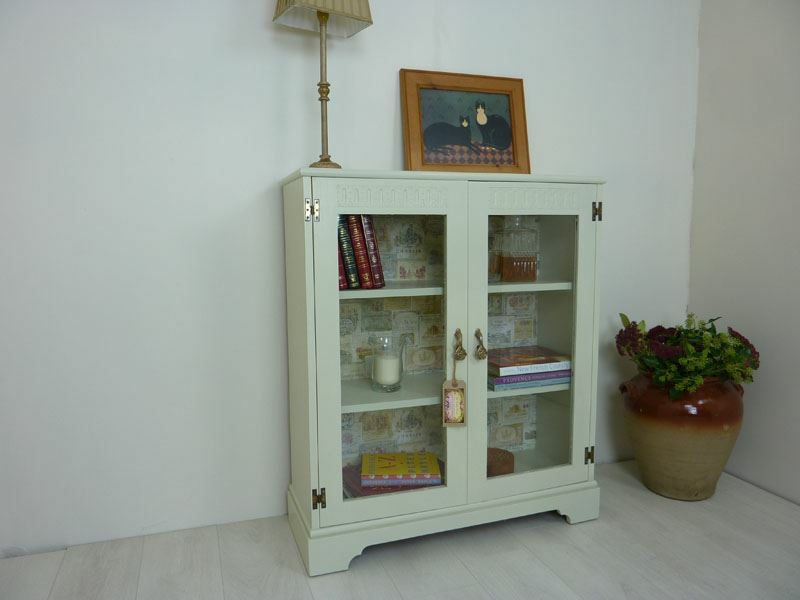 We sanded, primed and undercoated the whole piece before painting in "Aran" water based Acrylic satin and then waxed using Carnuba. 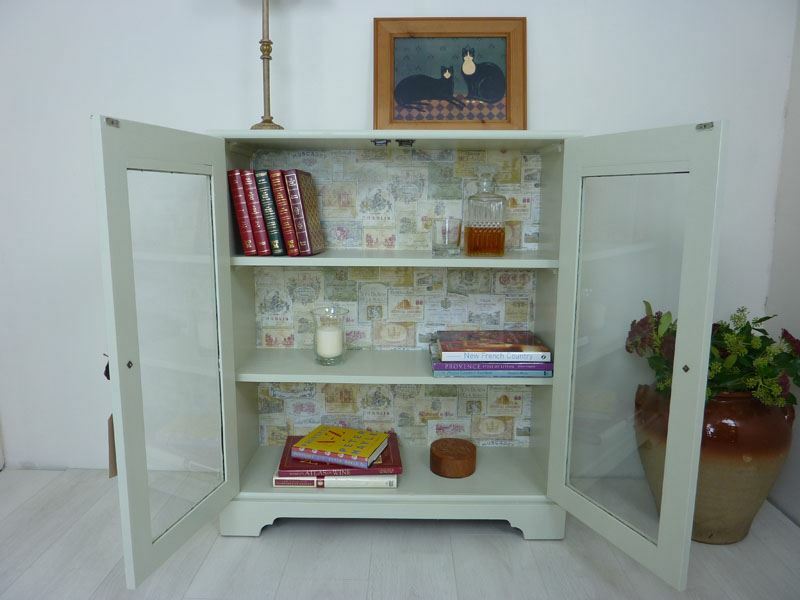 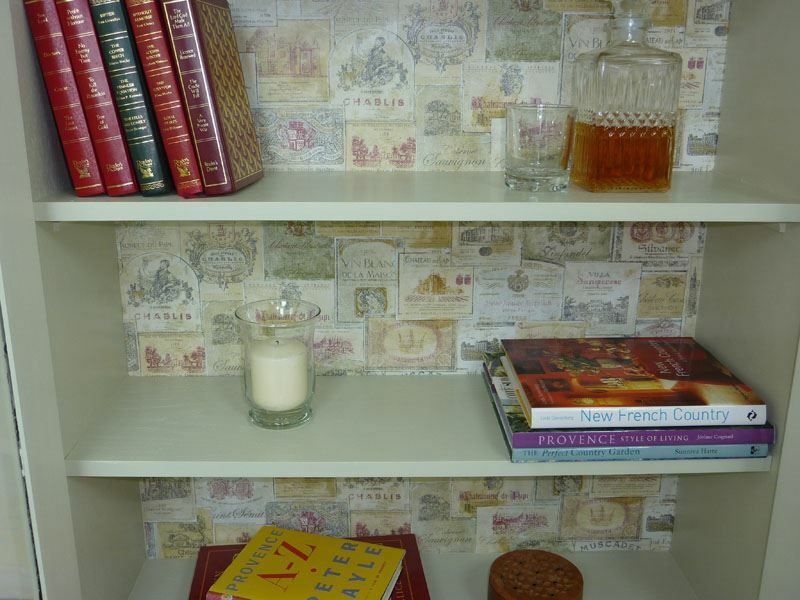 We removed the dated lead pattern from the glass doors and papered the back of the cabinet using vintage Wine Labels paper. 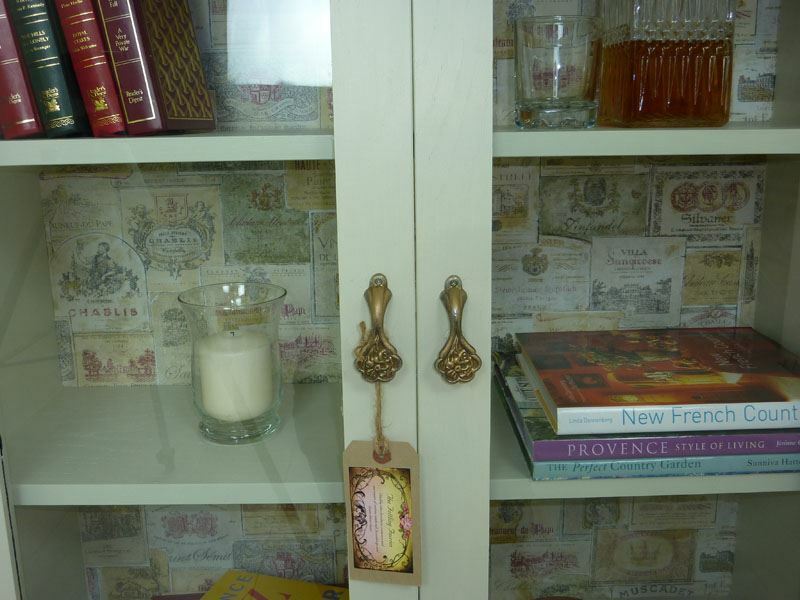 We added vintage door pulls to complete the new look.